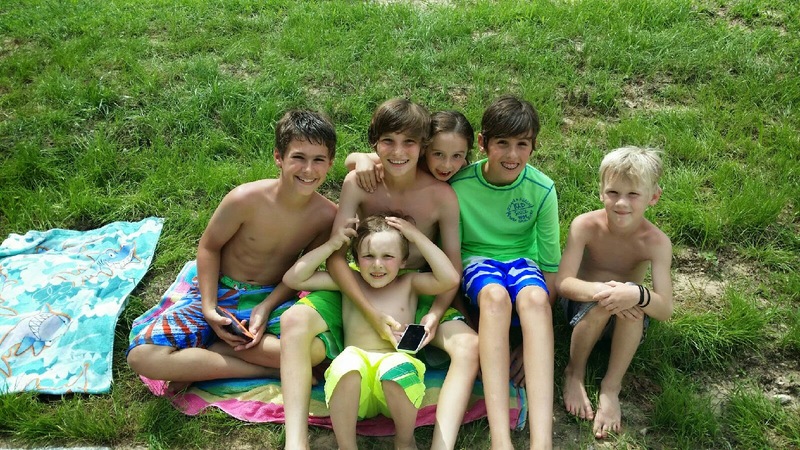 Hellion Comes Out July 4! Coming soon to Sundance Cinemas on July 4: Hellion starring Aaron Paul (from Breaking Bad), Juliette Lewis (from August Osage County) and Josh Wiggins. “A STARTLING AND MEMORABLE PORTRAIT OF ADOLESCENT LIFE. A white-hot breakthrough performance from teenage actor Josh Wiggins.” –Salon "Pick of the Week"
Emily Matheny Shot by Israel Veintidos! How amazing are these recent shots of Emily Matheny by photographer Israel Veintidos?! Hair and makeup by Ariana Rose. 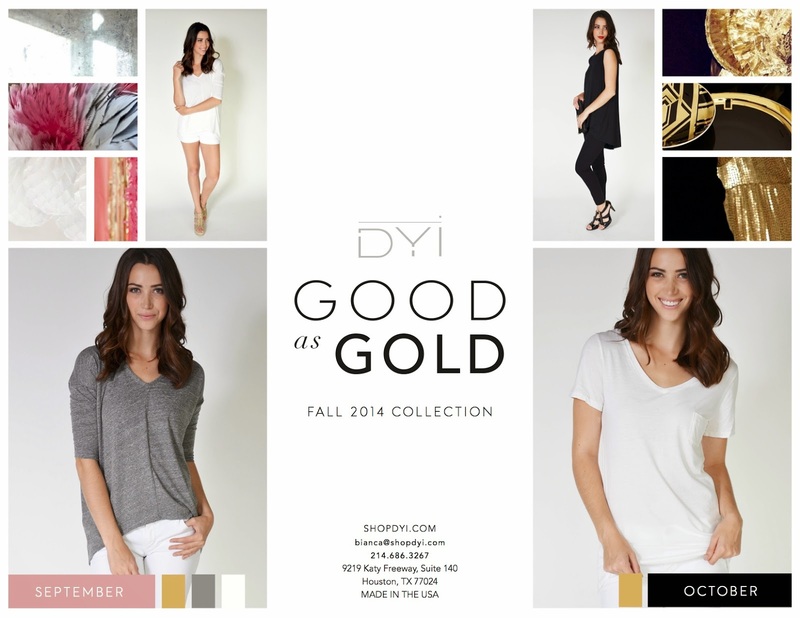 Check out Chelsea Morgensen for DYI's Fall 2014 Collection campaign! Whether you are doing yoga or pumping cardio, DYI has the perfect, comfortable basics for all athletic methods of staying healthy! For more information, check out their website here or follow them on Instagram (@ShopDYI)! Kambri Pellerin for "24 Hours" Movie! Check out Kambri Pellerin in the latest teaser trailer for the movie 24 Hours starring Tom Sizemore, Mischa Barton and Michael Pare! We were also able to catch her behind the scenes as well! Stay tuned for more news on Kambri. Spotted: Our gorgeous girls Britt McGee and Suzie Walker gracing the front covers of First Class Magazine shot by LuQca! Hair and makeup was done by our very own Tree Vaello. For Tree's perfect makeup look tips this season, check out her recommendations here! Tommie Cross for Samsung Galaxy S5! 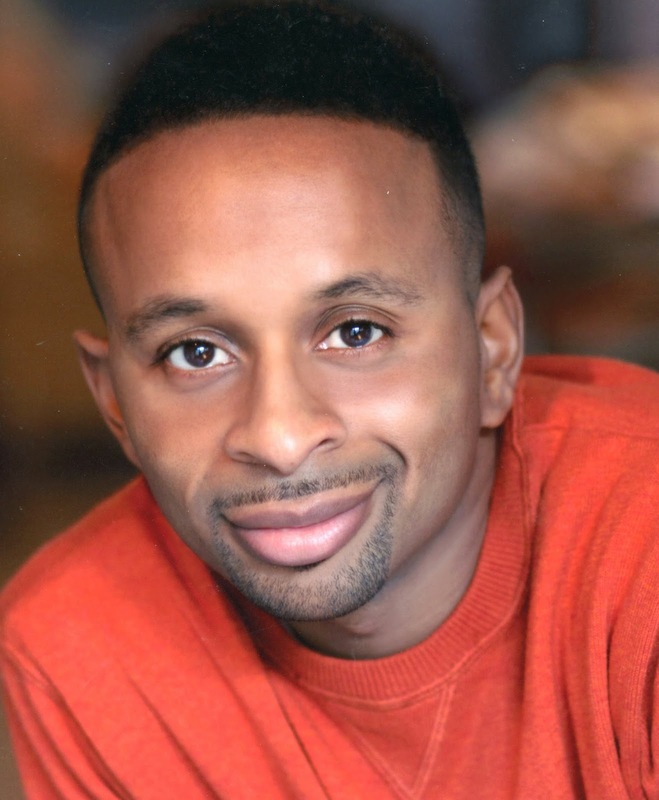 We recently caught up with Tommie Cross to congratulate and interview him on his campaign with Samsung Galaxy S5!! We are so lucky to be able to represent such a down to earth, humble, and hardworking individual! 1. What was it like working for Samsung? Samsung was an amazing client to work for. Great energy all around on set and super fun. Plus, I got to shoot with the awesome photographer Chris Craymer again... which is always fun! 2. How has New York changed you as a model? New York hasn't really changed ME, I would say. I have become more aware of what jobs I am right for and which shoots I have the best chances of booking. 3. How has Page Parkes helped you along your journey? Oh my, Page has been AMAZING with helping me and having my back these past 3 years. If I ever need anything, they do their best to make it happen. Page is ALWAYS behind me 100% percent in my decision making and has never doubted me. I'm so glad to have them in my corner and as my ,other agency. Love them to the moon and back! 4. 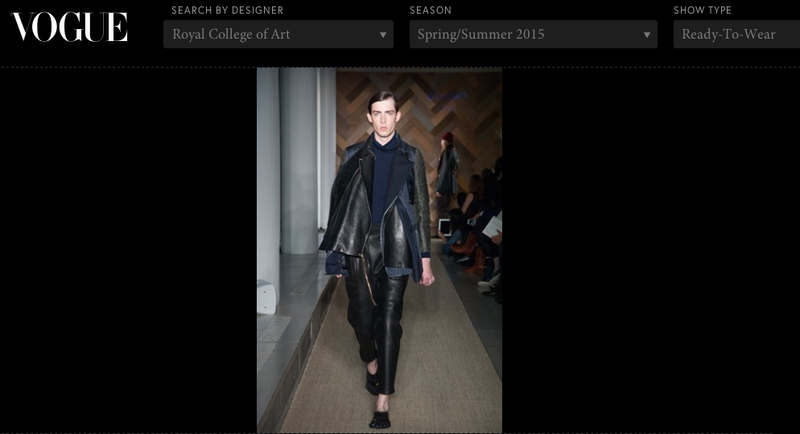 Can you give any tips to models wanting to move or work in NYC? For anyone wanting to move to the Big Apple to work, I would say, save, save, save! And get a side job right away! New York is one of the most expensive cities to live in and it's a daily grind. I would advise working at Hollister or Aeropostale on the side. 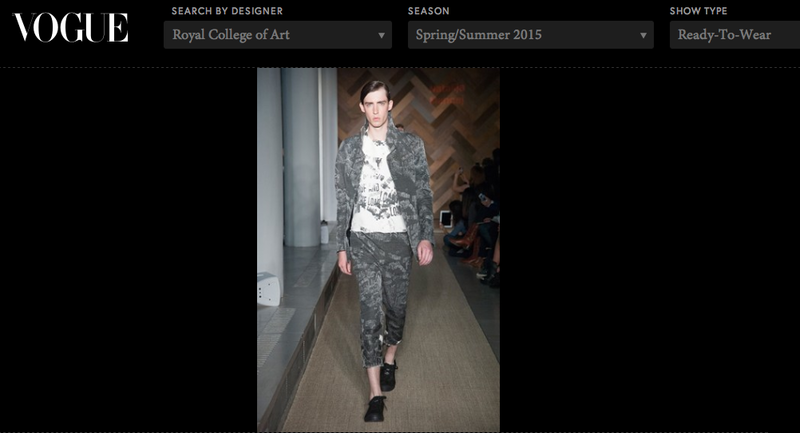 They are very understanding of the model schedule. Also, dont let the fast pace of New York change you as a person. It's always good to remain humble and remember where you came from. Best of luck to those starting their journeys!!! Thanks so much Tommie! We appreciate you taking the time to give us a glimpse of your life and a few wise words. Keep up the great work!! 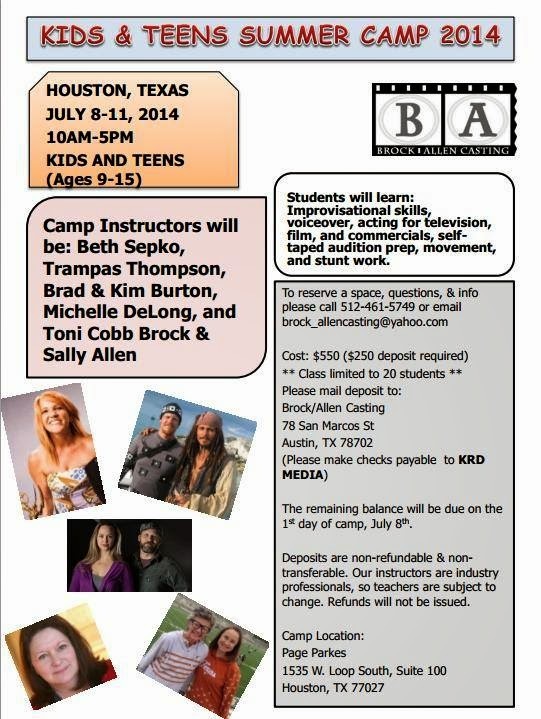 Houston Summer Camp with Brock Allen Casting! 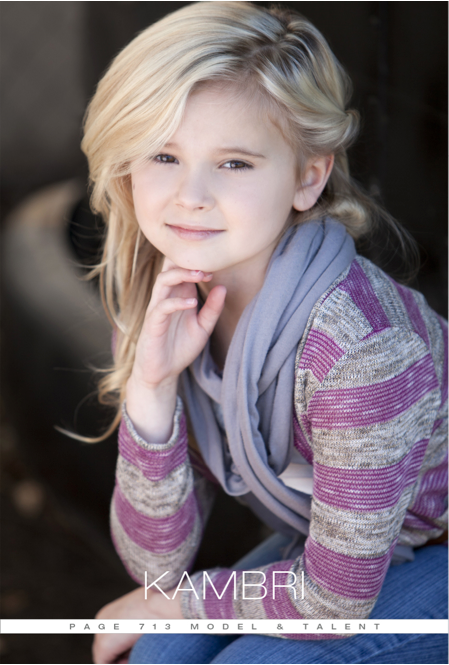 There's only a few spots left for the Kids and Teens Summer Camp hosted by Brock Allen Casting! Don't miss out! To reserve a space or if you have questions, please call (512)-461-5749 or email brock_allencasting@yahoo.com. See y'all soon!! We Will Miss You Brooke! 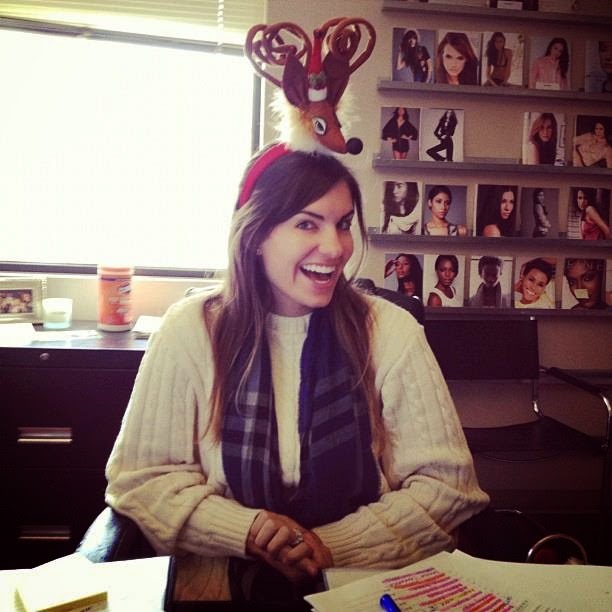 Friday was our wonderful Talent Agent Brooke's last day and we already miss her so much! She has done an amazing job and definitely left her mark here. We're catching up on Brooke's final words about her journey here at Page Parkes! 1. What was your favorite booking? I really loved every booking... From local print to feature films. I just enjoyed telling the talent they were booked and letting them know their hard work was paying off. 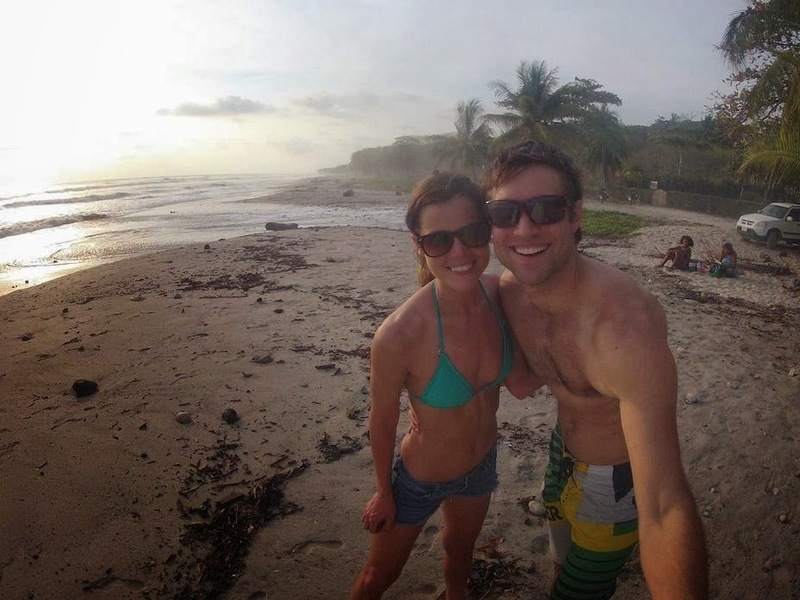 One of my favorite projects was a commercial shot in Costa Rica for two of our actors. I wanted to hop on the plane with them! Also, we had a few guys booked for a Men's Warehouse shoot through Dolores Jackson. 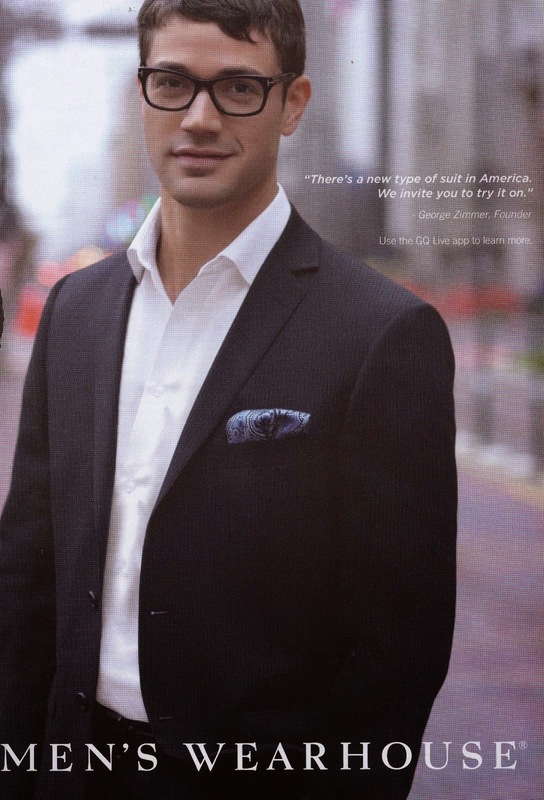 That booking led to Adam Duncan having a huge Men's Warehouse ad in GQ... That was really cool. 2. What are your most memorable experiences? I have so many great memories. First, every day in the booking room is eventful- there is never a dull moment. Agent Review is always a blast. There is a lot of work leading up to the event, but it's fun to see old friends and clients that come into town. I loved getting to meet people in person- we communicate so much via phone and email... It was always nice finally putting a face to a name. One of my favorite things was auditioning people for the agency. I will never forget Kamryn Johnson's audition with her bag of Cheetos. That girl sold me on some Cheetos. 3. What will you miss most out of your day? I will miss working with the amazing PP actors, kids, and their parents. Not only are our actors talented, but they are also just awesome people. I've learned so much from the people we represent and their families and will miss working with them on a daily basis. 4. What's the best advice you can give to a future Page Parkes talent? Thank you so much Brooke for all of your hard work, passion, and love for this company and all of talent! In the time honored tradition, Brooke concluded her day by writing her name on the bottom of the booking room table along with all of the other agents that have sat there. Good luck with all of your future endeavors and have fun being the best Mom! 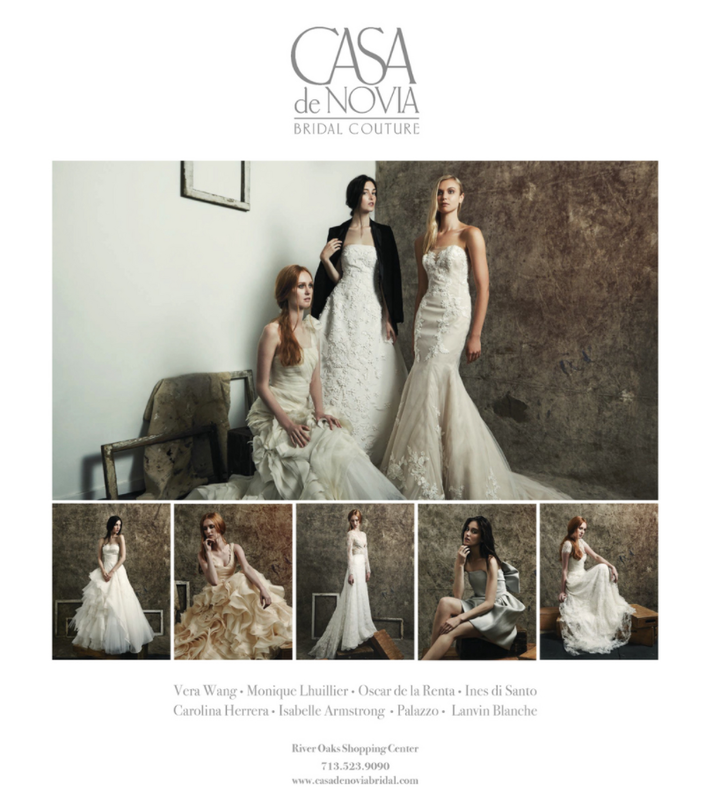 We are loving the new ad campaign Vico Puentes styled for luxury bridal boutique Casa de Novia in River Oaks! 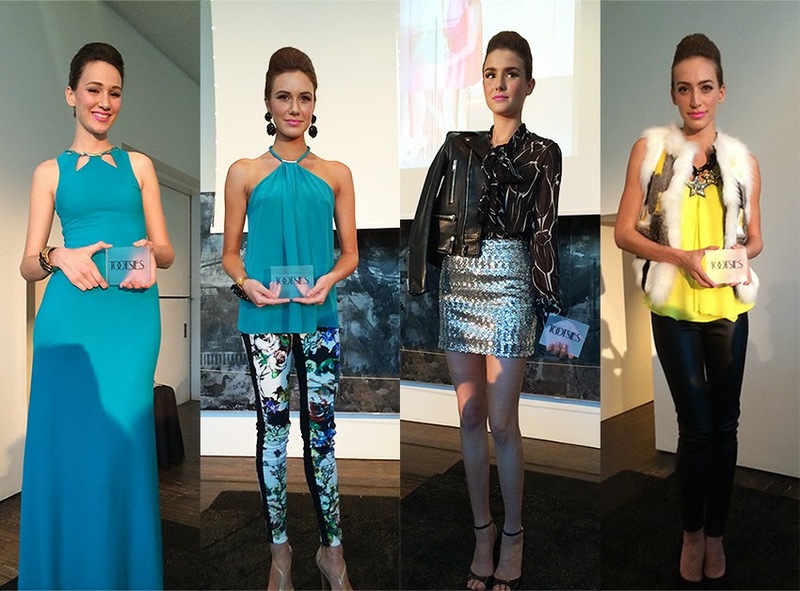 Our girls Victoria Monette, Allyson Cook, and Kelly Brown stunned in pieces by Monique Lhuillier, Vera Wang, and Lanvin! 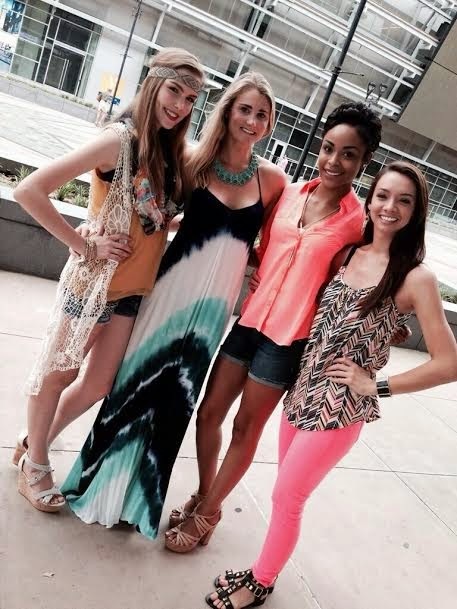 Our amazing girls Paulyna Odelein, Gretchen-Marie Young, Alyssa LaManna, and Grace Gonzalez in Dallas were spotted modeling perfect summer outfits provided by Grapevine Mills on Good Morning Texas (WFAA)! Check out the video if you missed it here! 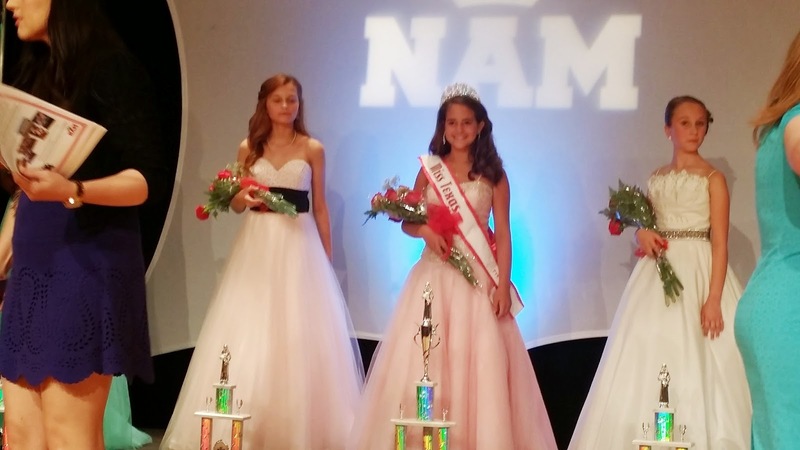 Samantha Coffey Wins Miss Pre-Teen Texas! 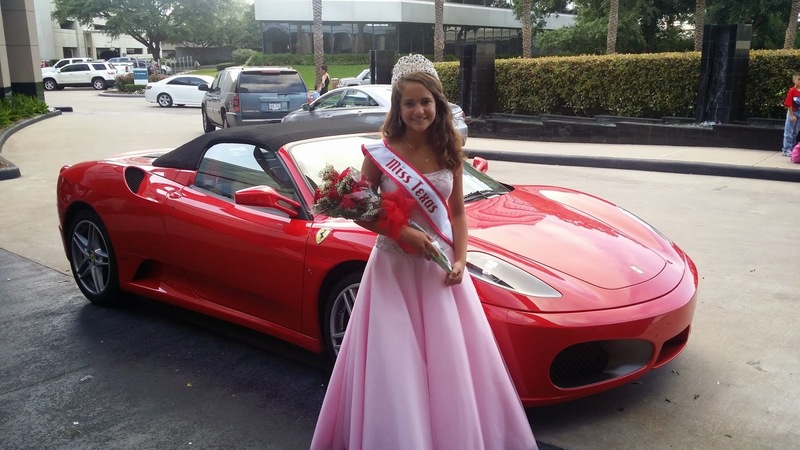 Congrats to one of our gorgeous talents Samantha Coffey for winning Miss Pre-Teen Texas! She looks stunning and we couldn't be more proud! Special Olympics with Karina Junker! Karina Junker is seriously on fire! Her Special Olympics Texas videos are out and they are so adorable! Check out more on her Youtube Channel here and stay tuned for the Spanish spots! 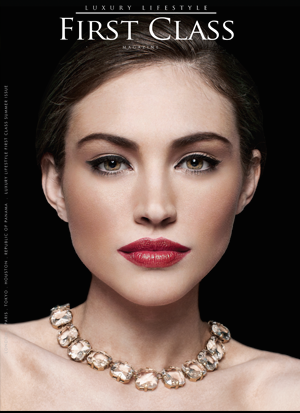 Karina Junker for Cigna Health! Congrats to our gorgeous and amazing talent Karina Junker for booking the role of the new Bilingual TV Host for Cigna Health! We are so proud of her achievements! She will be filming soon so stay tuned!! Donald Rey in Taco Cabana's Latest Commercial! Page Parkes Dallas talent and instructor Donald Rey recently spotted in one of Taco Cabana's latest commercials! Check out our Page Parkes Dallas models Bailey Anderson and Cameron Gilbert in photographer Jonah Gilmore's latest branding campaign called B+You! For more information and photos, visit their Facebook here!! Love seeing our young actors Ethan Provenzano, Gabe White, and Brandon Miller having fun on set for a NASA Space Center shoot! Bianca Linette Does Hair/Makeup for British Singer Birdy! 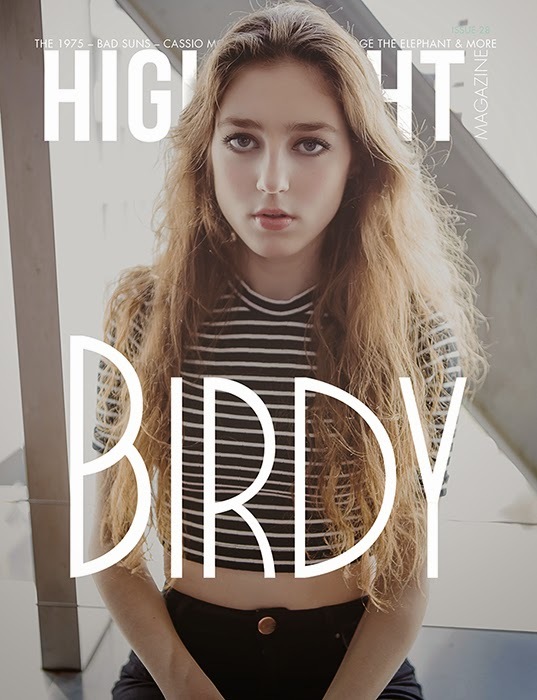 Check out the cover of this month's Highlight Magazine for artist Birdy shot by Jordan Fischels with hair and makeup done by Bianca Linette! Gorgeous!! 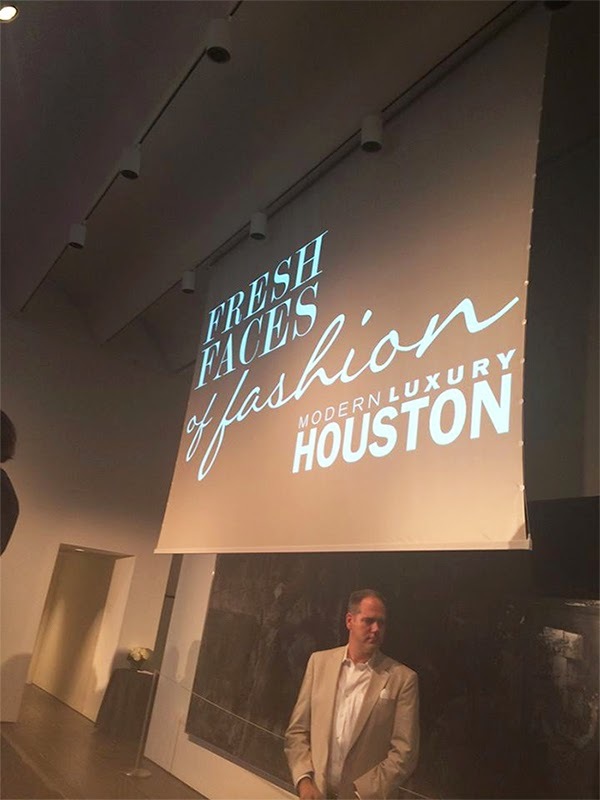 Fresh Faces of Fashion 2014 was presented this year by Houston Modern Luxury at the Menil Collection museum. We loved seeing our girls Holly Draper, Emily Boyett, Isabelle Victoria, and Larie Self modeling the amazing pieces provided by Tootsies! Calling all actors and actresses! Need to update your head shots? Select Studios is running a one-day special!! 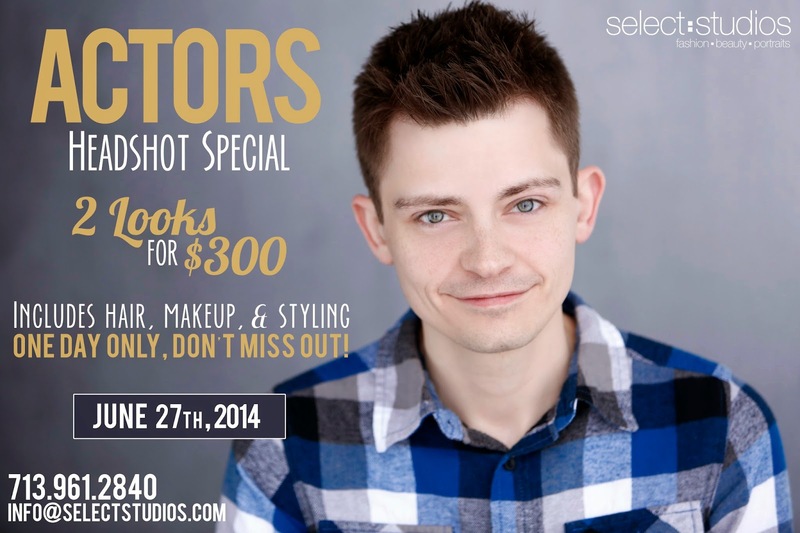 Spots are limited so make your reservation now by emailing them at info@selectstudios.com or call them at 713-961-2840! Angel Henson and Precious Morris for Family Orthodontics TV Spot! Take a look at our amazing talents Angel Henson and Precious Morris in a recent video for Family Orthodontics! 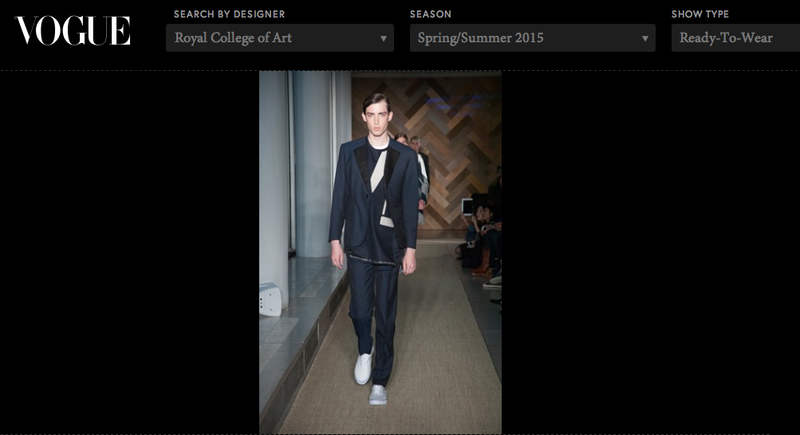 Morgan Perreault Walks RCA on VOGUE! 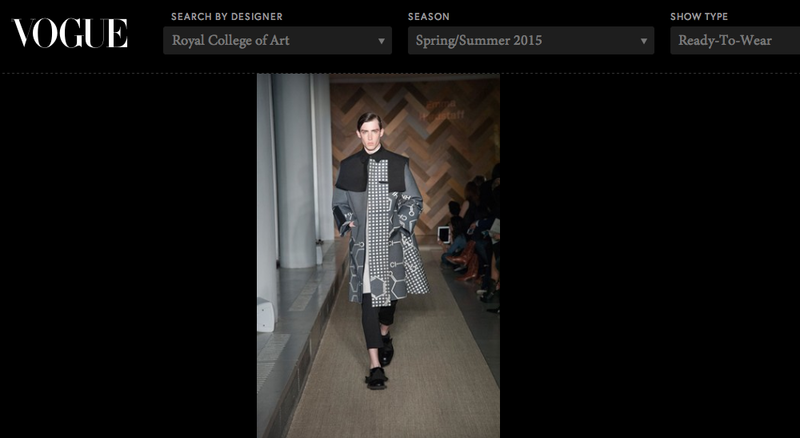 We are so proud to see Morgan Perreault on Vogue walking for the Royal College of Art fashion shows in London! Check out his Instagram (@jmorganperreault) to follow his journey in Europe if you haven't already!